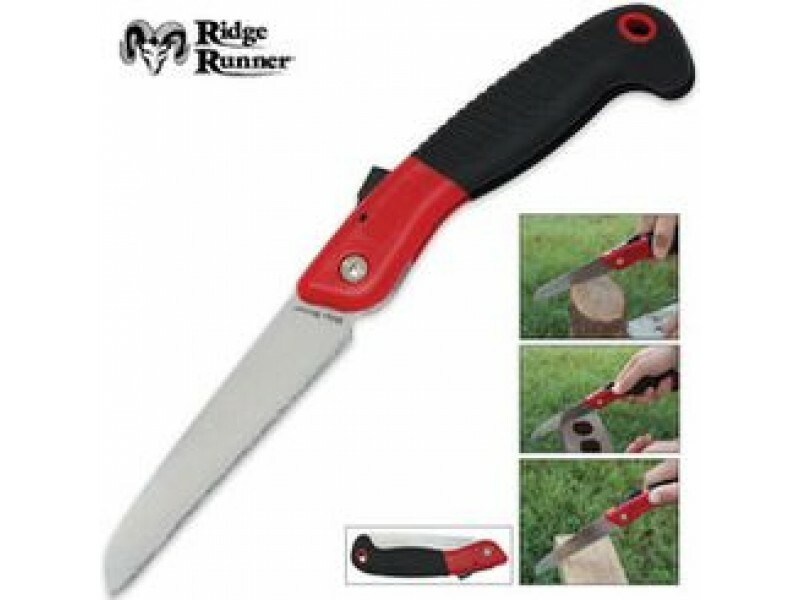 Buy Ridge Runner Super Folding Saw , from Budk - RBC VISA for $6.99 only in My e-commerce. This Ridge Runner® Super Saw can cut through anything! It easily cuts through metal pipe, cinder block, sheet rock, wood, iron, brick and much more! This super saw features a heavy-duty 6" folding carbon steel blade made with tungsten carbide edge that never needs sharpening. The rubber coated handle provides a comfortable easy to hold grip. 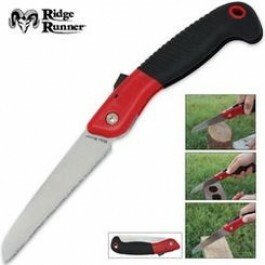 The 6" blade folds into the handle held in place by the safety lock.